The foreign secretary today told the European Union (EU) leaders they would be making “a very, very big mistake” allowing Britain to leave the bloc without a trade deal, but said the UK could “thrive” with such an outcome. 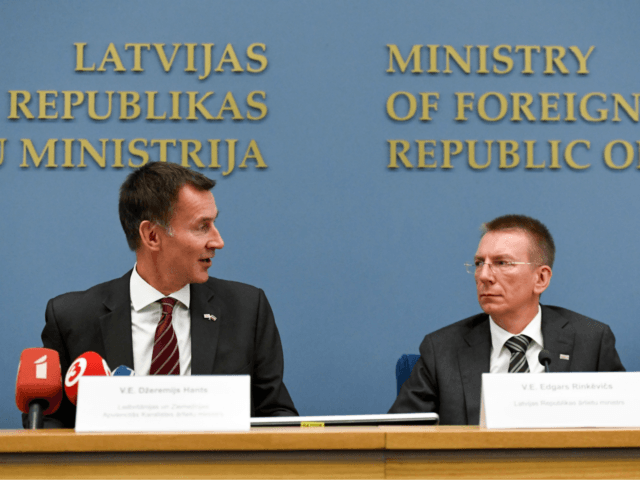 Jeremy Hunt’s comments came after his Latvian counterpart said in the morning the chances of an agreement this autumn are “fifty-fifty” and called for “extra effort” by both sides. “Well, of course, there will be significant short-term impact, but I think in these situations the British economy would find a way to get through it and, indeed, we would find a way ultimately to thrive and be successful. “Of course, there is this risk of a no-deal. But I think there are a growing number of countries that recognise that would be a very, very big mistake not just for the United Kingdom, but for the EU as well. Earlier this week, top EU sources conceded the bloc would be hit harder than the UK by a “no deal” Brexit, with fears some nations with strong trading links to the UK would break ranks and push for a compromise. Many Brexiteers are comfortable with leaving the bloc without a trade deal, on World Trade Organization (WTO) rules, as the UK would control its trade policy and could make decisions quickly and independently, unlike the EU. Under Prime Minister Theresa May’s unpopular Brexit proposals, the UK would remain tied to all EU rules on goods, making it harder to strike deals with nations outside the EU. A group led by top Brexiteer MP Jacob Rees-Mogg is currently producing a policy paper outlining the advantages of pulling out the protectionist bloc on WTO rules, in a direct challenge to Mrs May’s plan.